Over Christmas Break, we had lunch and dinner at Tortilla Jo's in the Downtown Disney District at Disneyland Resort in Anaheim, California. 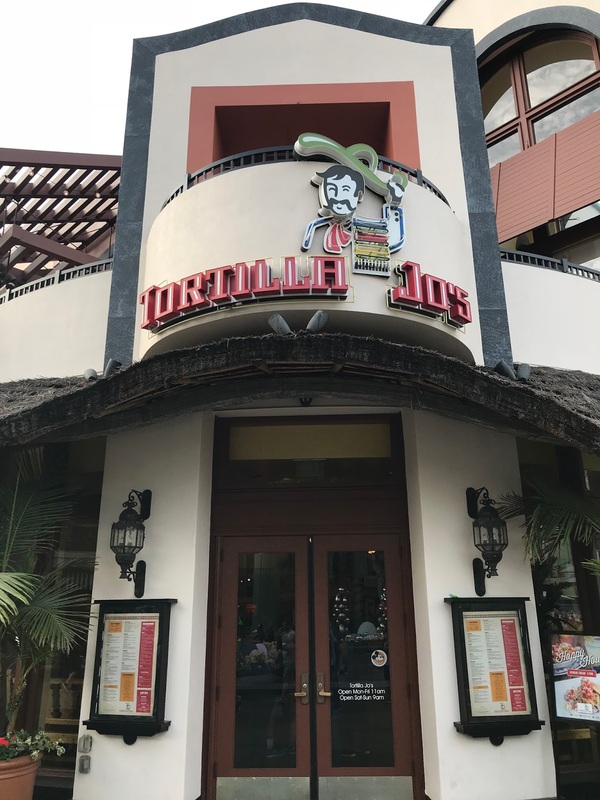 Tortilla Jo's, which is owned and operated by the Patina Group, has become my favorite table service restaurant at Disneyland, because of their great food, great drinks, and great service. I also love that they have so many gluten free options to choose from, and that they are labeled with a little red "GF" on their menu. 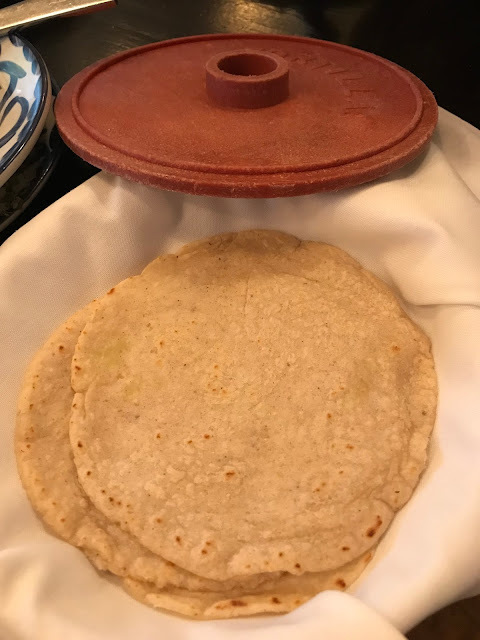 Be sure to let them know if you have celiac disease, because they take extra precautions, especially with items like the corn tortillas. 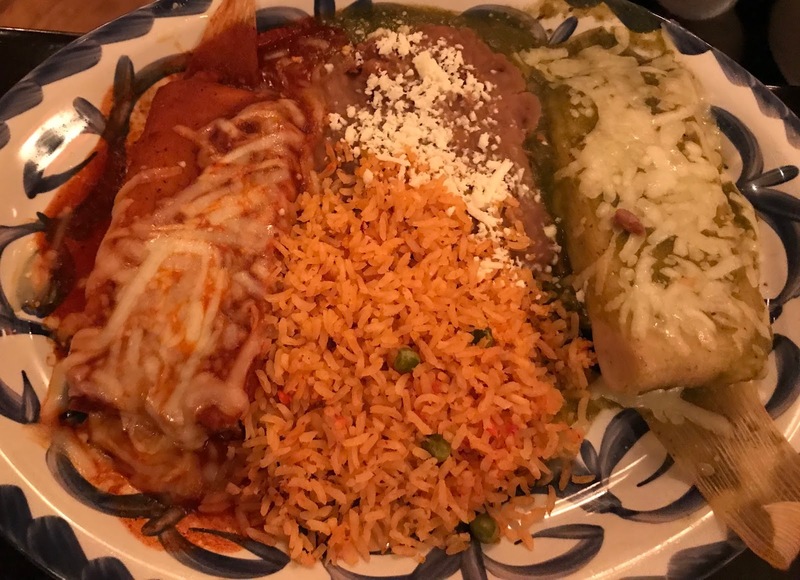 Other gluten free options besides the ones pictured include the Garden Salad, TJ's Grilled Chicken Caesar Salad, Enchiladas Suizas, Quesadilla Tradicional, Fajita Fiesta, Fajita de Tres, Portabello Mushroom Fajita, Jo's Carnitas, and Pozole Rojo. Tortilla Jo's serves amazing complimentary chips and salsa. The chips are made in a dedicated fryer, and I love when they come out warm. The salsa is fresh and flavorful, with a little bit of a spicy kick, though not enough to turn off my daughters. I always order a margarita flight at Tortilla Jo's. Their mango jalapeno is my favorite, because I love the combination of sweet and spicy. 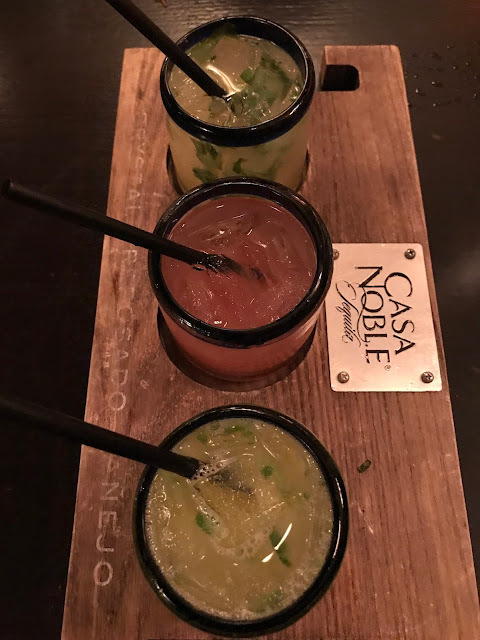 I also enjoy their pineapple cilantro, strawberry, pomegranate, and blood orange margaritas. 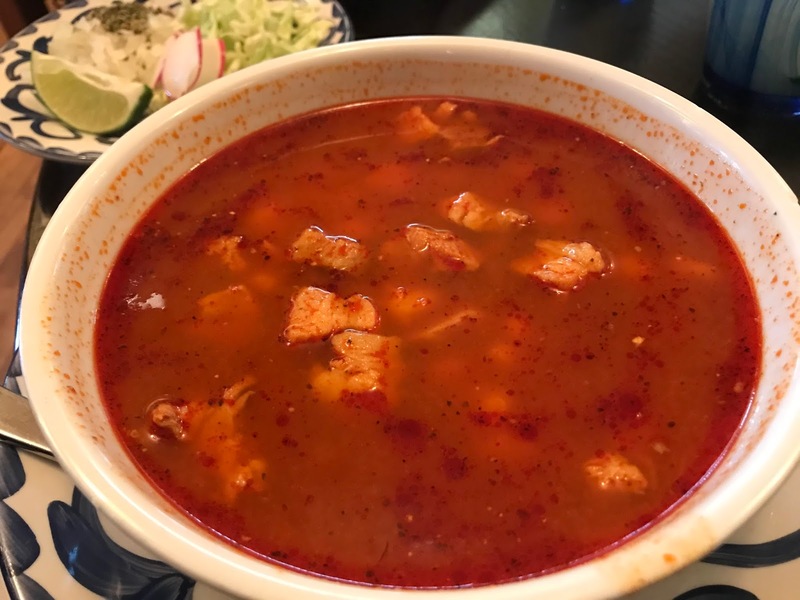 Both times we dined at Tortilla Jo's over Christmas Break, I ordered their Pozole Rojo with red chile broth, slow cooked pork, and hominy. 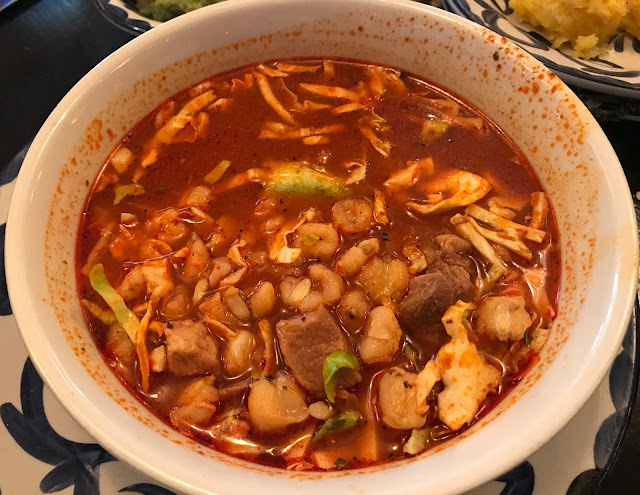 I did not even know what pozole was until we moved to California, but now, I never miss a chance to order it when we dine out. This traditional Mexican dish contains hominy, which is made with dried corn. Tortilla Jo's serves their pozole with sides of cabbage, onion, radish, oregano, and corn tortillas. You can also add guacamole, which I did on our second visit, to eat with my tortillas. I added cabbage to my pozole, but choose not to add the other sides. 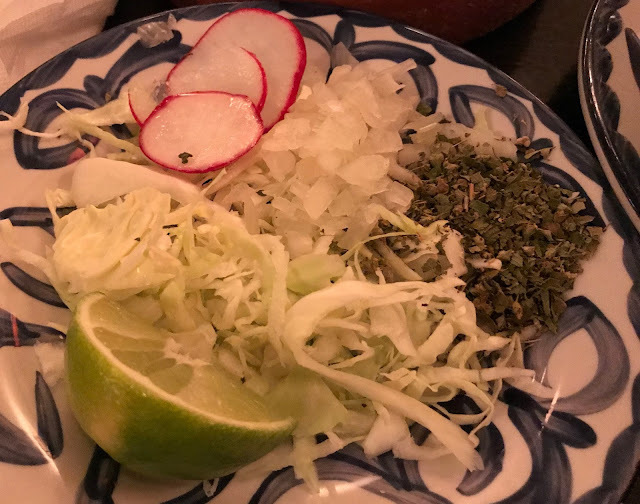 It was some of the best pozole I have ever eaten, but I did not like the guacamole enough to order it again as a side. 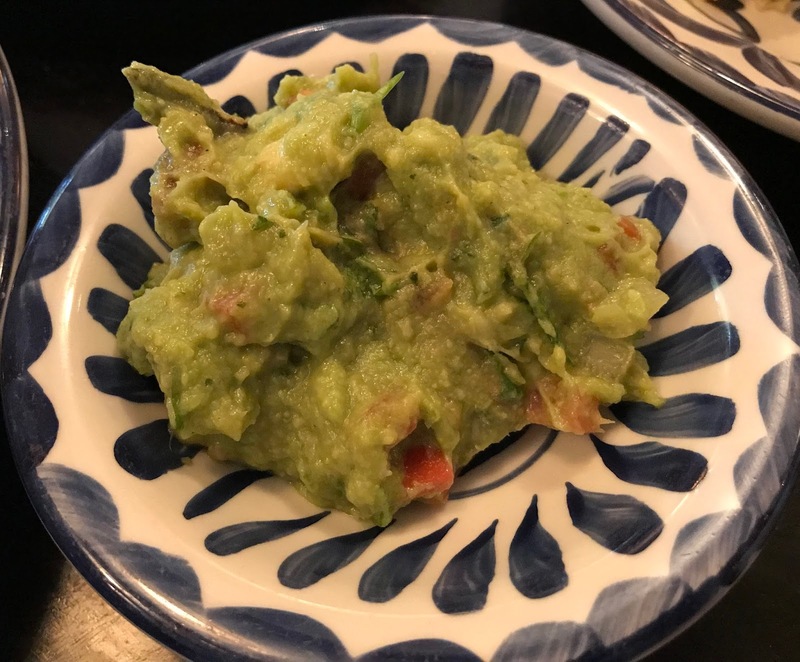 I do highly recommend the tableside guacamole though, which is much fresher. We ordered it when we visited Disneyland last year, which you can read about here. 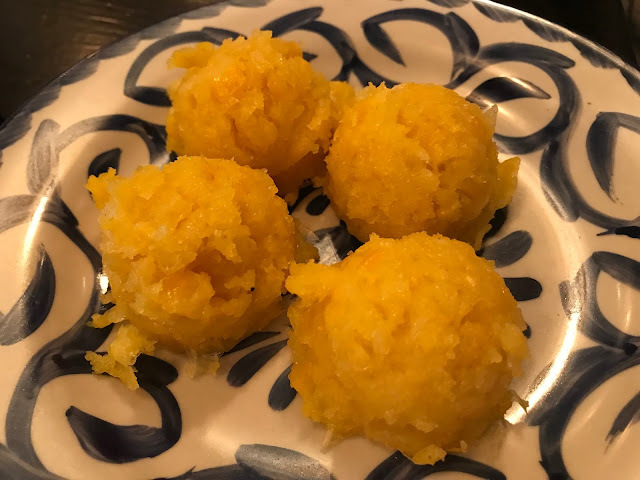 Tortilla Jo's does not have any safe desserts, but I like to order a side of their delicious sweet corn cakes, which I eat towards the end of my meal. My daughters shared pork and chicken tamales on New Year's Eve, but were not fans of the pork tamale, so they ordered two chicken tamales when we returned for lunch later in the week. 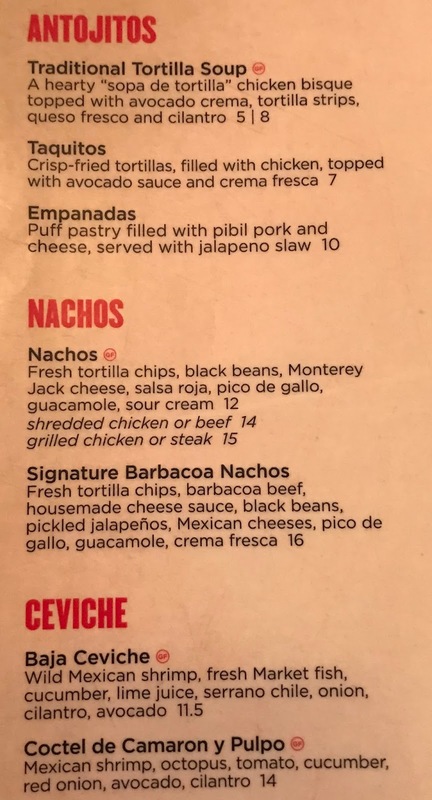 Both are gluten free options on Tortilla Jo's menu. 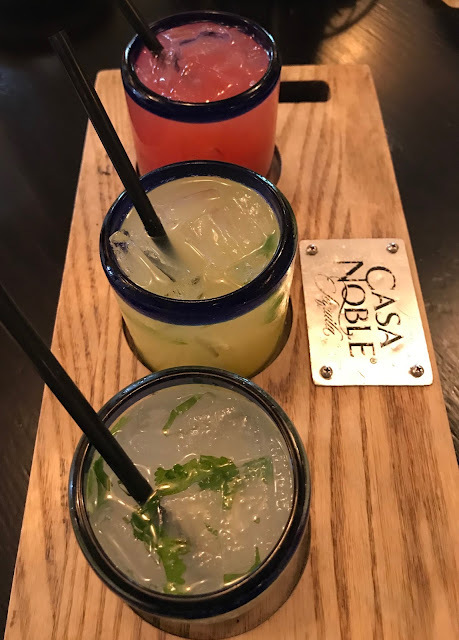 You can read more about Tortilla Jo's, make advance dining reservations, and view their menu and hours on Disneyland's website. 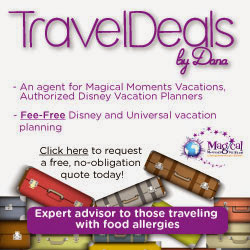 My friend Sarah recently dined at Tortilla Jo's, which you can read about on her blog Gluten-Free & Dairy-Free at WDW. 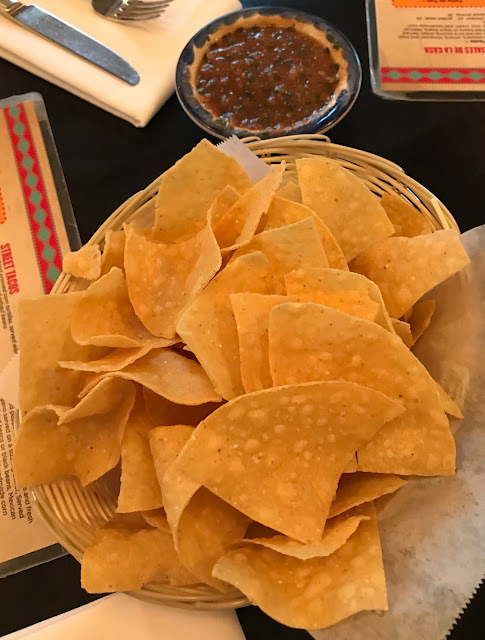 What are your favorite gluten free options at Tortilla Jo's? Can't wait to try the guac with chips!! Also on the list for April!